The first and most important answer to that question is contained in the question itself. What should you expect to see? For it to be real, an offer has to be in writing. Nothing else will do. Employers should understand this. A written offer is just as important to them as it is to you, and they should recognize your legitimate need to have something you can rely on before committing to a big change. A simple email will do, provided it spells out the offer’s terms. What’s the time frame for a response? Presumably, you’re happy about receiving an offer. You may be downright thrilled. Still, the offer may determine what your working life will be like for years to come. It deserves a thorough look, which doesn’t imply second thoughts about the job. Rather, it’s a sign that you take it seriously. Is the offer self-contained? In other words, does it make reference to documents—details of a benefits package, for instance—without actually including them? If it does, you’ll need to decide if you can accept regardless. Who’s your point of contact? Different companies handle the hiring process in different ways, and the person handling things now may be a completely new face. Find out who you should reach out to for further discussion or for answers to your questions. If you’re salaried, base compensation may be straightforward, but is a provision for bonuses spelled out? Are there performance-based variables? If you’re hourly, when does overtime kick in? For every type of compensation, other than those inescapable taxes, are there deductions? How often are you paid? Benefits come in two varieties, but both are enormously valuable. Some benefits, like health insurance and retirement plans, have clear monetary value, and the more information the offer contains, the better. In some cases, benefits may be subject to a vesting period—a time before they become truly yours—and that variable can have important consequences. Other benefits, like vacation time, telecommuting options, holidays, sick days, maternity leave, and paternity leave, may be harder to valuate, but they’re equally important. In terms of quality of life, they may even be more important. Again, you want as much information as possible. Companies will often leave the details until later, but it may be worth asking some questions and getting a copy of the benefits handbook. 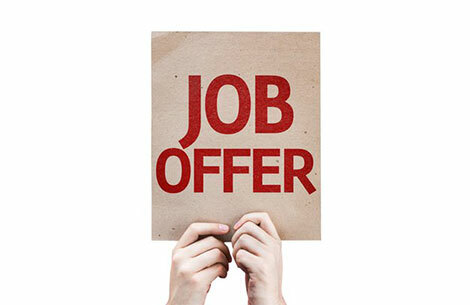 The ideal offer would contain a complete job description, but most fall short, with many of them simply detailing the job title you’re going to assume. If you haven’t already seen it, a look at the official job description can help avoid any misunderstandings. Once the offer is made, the clock starts ticking. First, there’s the deadline for accepting the offer. Next, there’s the start date. There should be some indication of your expected schedule once you’re on board, along with the specification of any probationary period. Finally, not every offer, even a written one, is unconditional. There may be contingencies, like background checks or drug tests, to be satisfied before your start date. They’re mere “formalities,” of course, at least according to whoever is keeping things contingent, but they’re quite real. Make sure you know what still needs to be done, and ask about timing. Contingencies are only formalities, until you meet one that trips you up. At that point, even a small detail can ruin your day.